Why Must Install Cooker Hood? No More Oil Drips on Stove Top! Less Messy Floors, Lesser Mopping Ups! 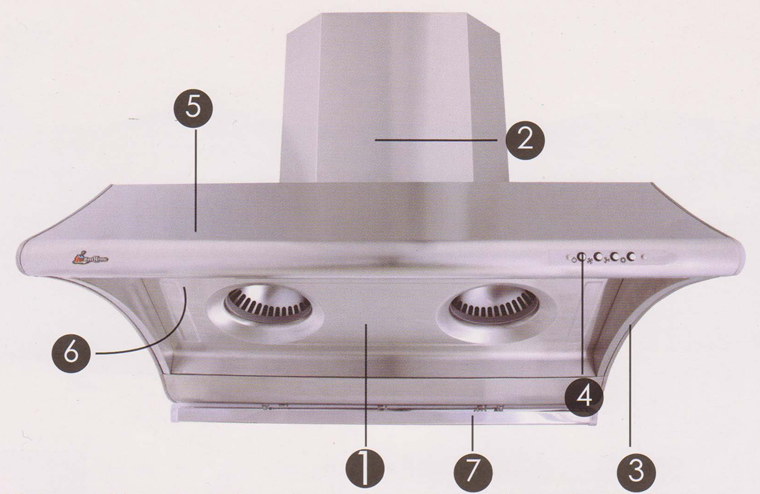 First Asian Style Designer Cooker Hood for Malaysia – Assuring and retaining our Asian Aroma and Flavor! Direct suction, direct exhaust. Dual bearing life-induction motor with German Technology. Grease free indestructible high density PP composite housing. Maintenance free non stick oil drainage system ensures minimum oil retention. High static pressure to push more smoke out with greater ease. High temperature resistant internal parts for easy oil drainage and cool to the touch on the outside, resistant non stick fans blades. Disposal oil screen, optional oil dish liner – No degreasing, no cleaning of inside required. Built in sensor for auto cut off when heat exceeds 80 degrees. Stainless Steel (grade 403), durability, rust and fire proof qualities resulting in more reliability, easier maintenance and more hygienic usage and kitchen condition. This innovative design allows for asymmetrical air flow and increased suctioning capability with minimal smoke escapes thus enhancing efficiency in the quick removals of heat, smoke, oil and odor situation. No Spills And No Ills! No oil drips onto foods being cooked and that which may be detrimental to health. For brighter illumination and durability. Easy disposal of oil and ensures easy simple cleaning and minimum maintenance.